Today I have a special card to share that I created when I was at Stamping Away, spending the weekend with 16 other crafty ladies in Kansas. It was a very special trip full of fun and creativity. Some of the local girls brought goodies from their stash to share and I got to play with this beautiful Savior stamp and die from Taylored Expressions. This card was inspired by a card my friend Lynn created while we were at the retreat. Hers was all white and so, so beautiful. I wanted to change it up a bit with some color, so I gold embossed the stamp on Narwhal cardstock and used the coordinating die to cut it out. 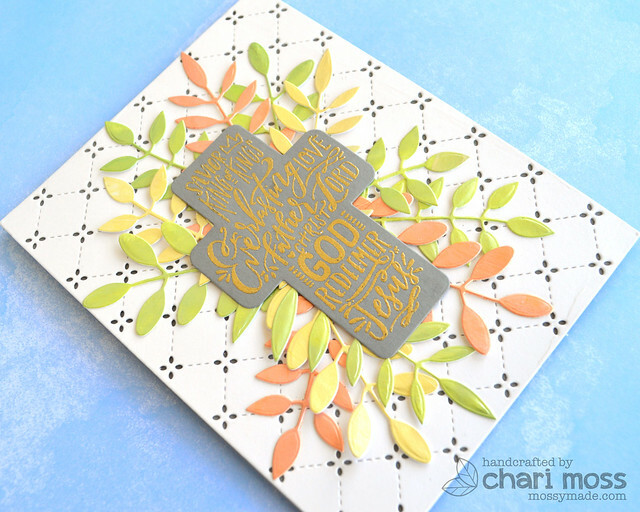 For the card base, I cut cream cardstock using the Lawn Fawn Quilted Backdrop die and layered it over a Storm Cloud card base. 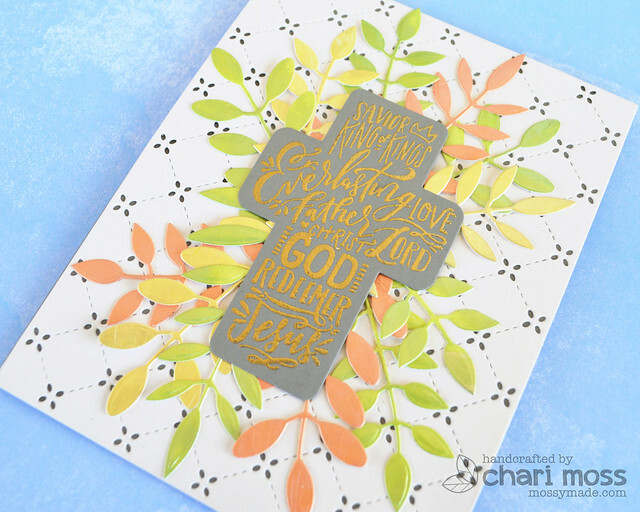 I wanted some soft shimmery colors for my foliage so I played with some Tonic Nuvo Embellishment Mousse and created my own colored cardstock. I simply rubbed it onto some white cardstock and then die cut once it was dry. I believe these branches are from MFT, but I am not 100% sure on that since I borrowed them. 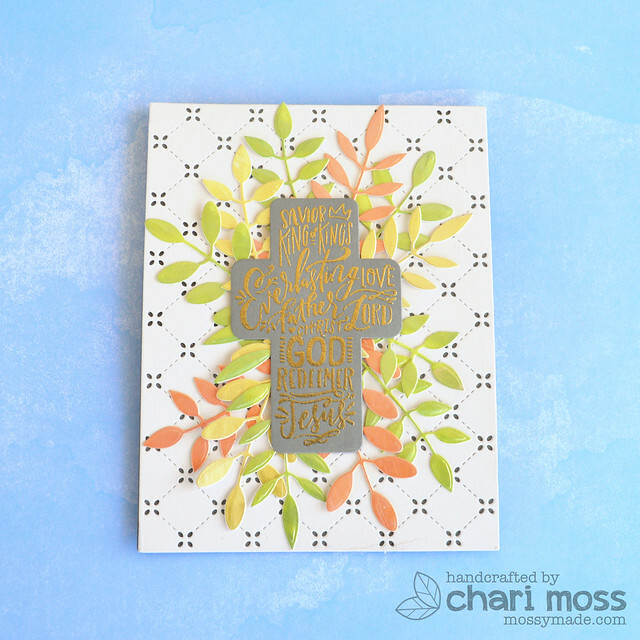 I arranged them behind the cross then glued it all down to the card base. Unfortunately, this card has much more shine than what showed up in my photos. I really love how it turned out. Thanks for the inspiration Lynn. Thanks for stopping by today and I wish you all a very blessed Easter. He is Risen!